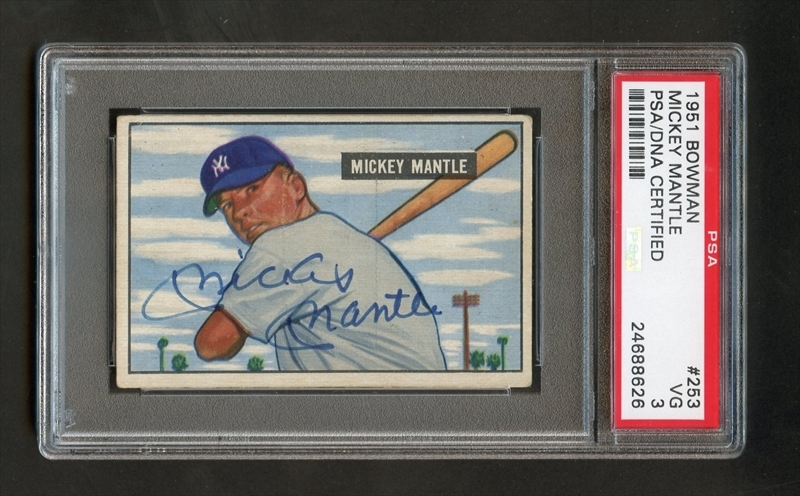 Thanks, guys, for the comments on the '51B. No creases and, yep, the stain on the back brought it down to the G grade. Those do look much better, irv. Nice pair! That signed duo looks amazing, Bob! 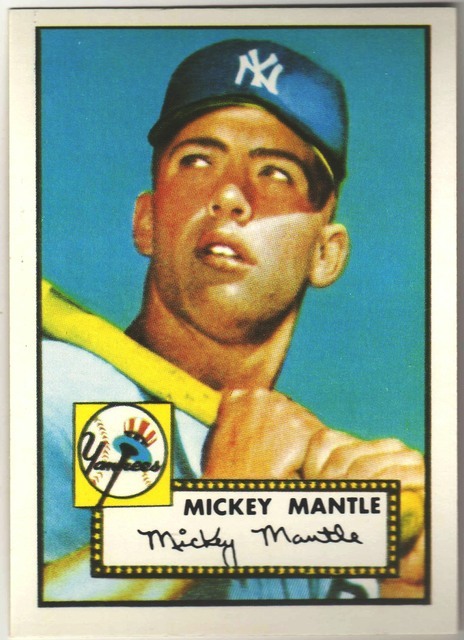 That '64 Venezuelan is a great card, Matt. Last edited by CW; 05-15-2016 at 11:00 AM. 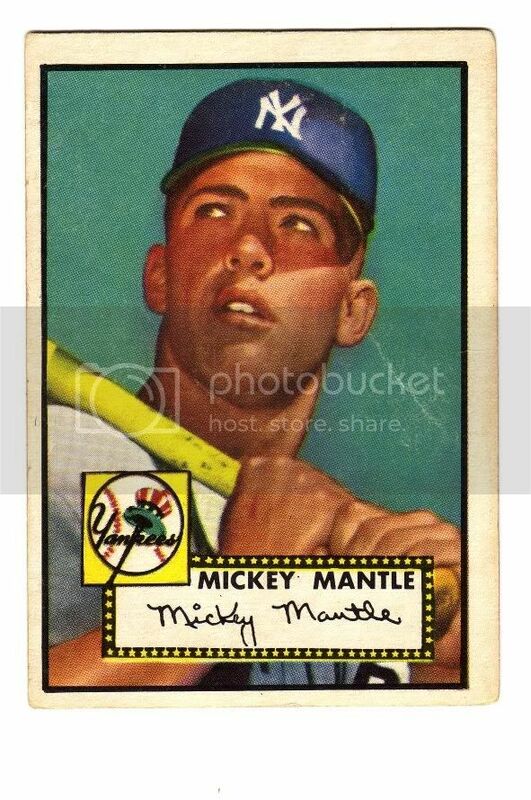 CW, your 1951 Mantle Rookie just simply LOOKS better than 99% of them. Yes including sevens, sixes, and fives. What an AWESOME and unique card you have there. Some pretty nice cards in this thread! Wish I had of collected more over the years. Hey Chris, to show you what a good friend I am, I'll gladly trade you the Canadian Post panel. 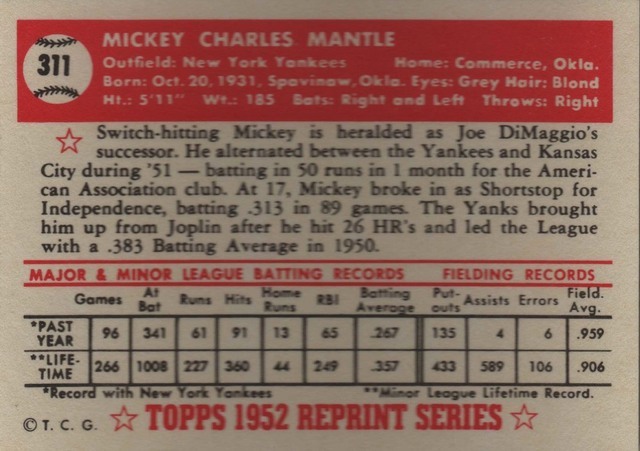 Either one of your 1952 Topps Mantles would do. I'll even let you pick which one. 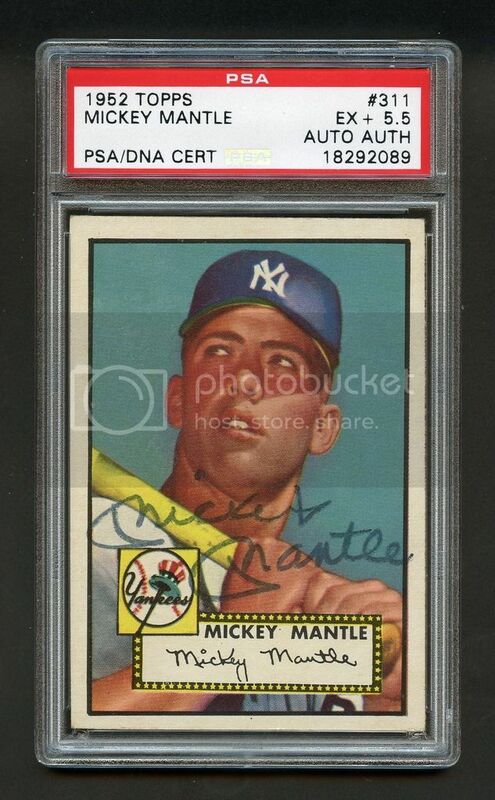 Some really nice Mantles shown guys. 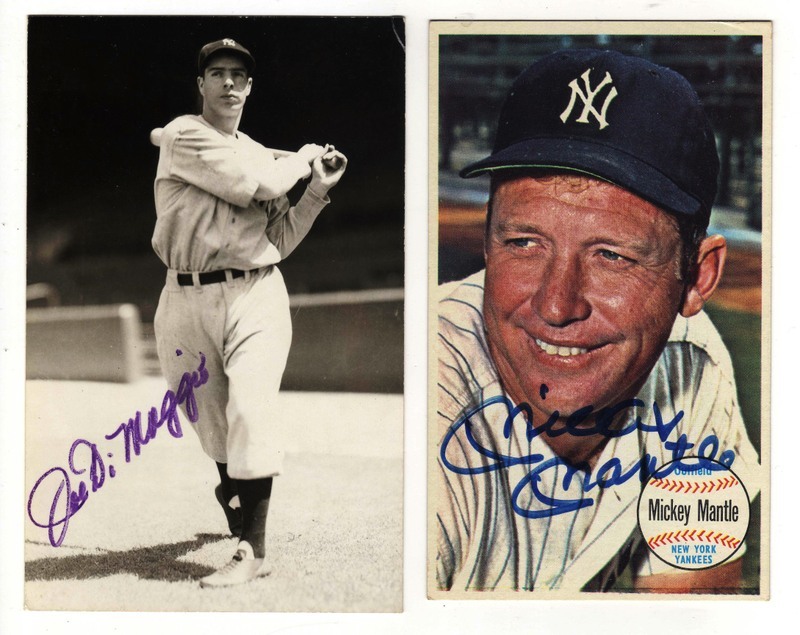 I'm not much into autographs, but the '51 Bowman and '52 Topps autographed cards are sure nice. Last edited by begsu1013; 08-22-2016 at 09:16 PM. Printed courtesy of Sports Collectibles of Houston! These were actually purchased in the fall of last year...I just noticed this thread today. [quote=clydepepper;1540433]These were actually purchased in the fall of last year...I just noticed this thread today. I will say that Mantles appear to hold their value more than many stocks. 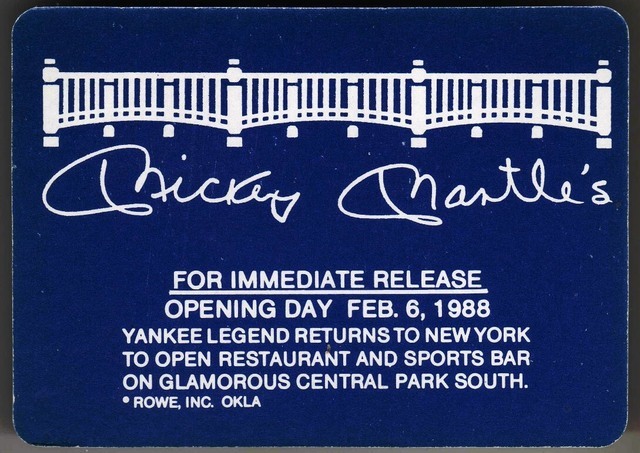 OK, here are some Mickey Mantle's for starters......will post some more later on. Last edited by tedzan; 07-01-2016 at 09:11 PM. 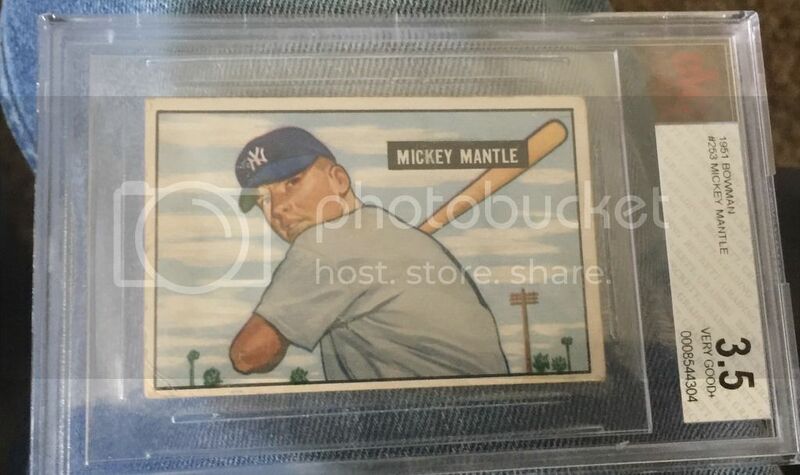 Here is my Mint 55 Bowman. I would call it Gem Mint except for the barely noticeable speck of paper loss on the back. 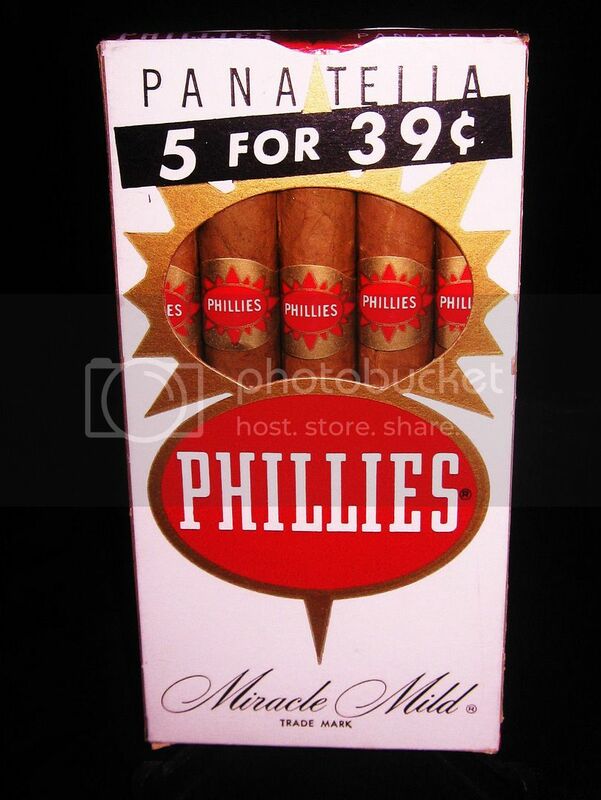 I have always seen the Phillies Cigar Mantle referred to as a 1961 issue. Is that wrong? You say 1963. 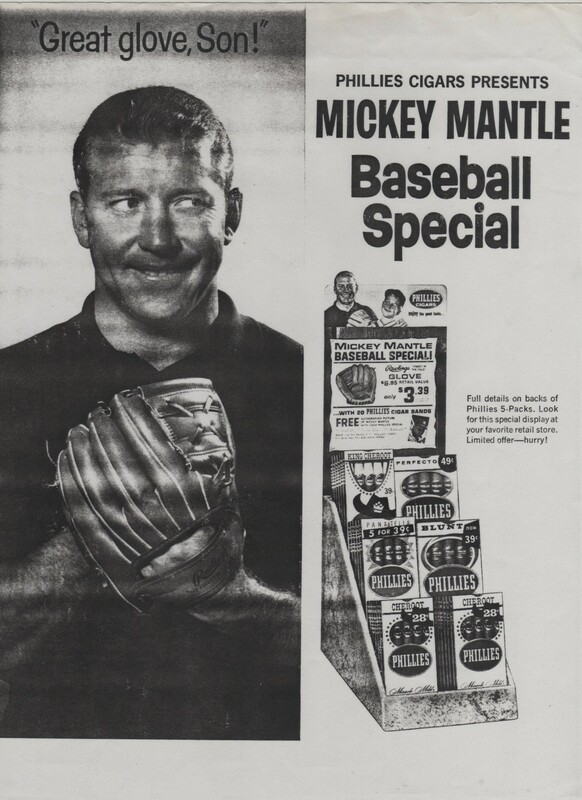 I looked at both of my boxes--the advertisement for the gloves/photos is on the back of each of these--but unfortunately no dates are present anywhere on them. Last edited by Bestdj777; 05-18-2016 at 07:56 PM. Last edited by Sean; 05-18-2016 at 08:40 PM. 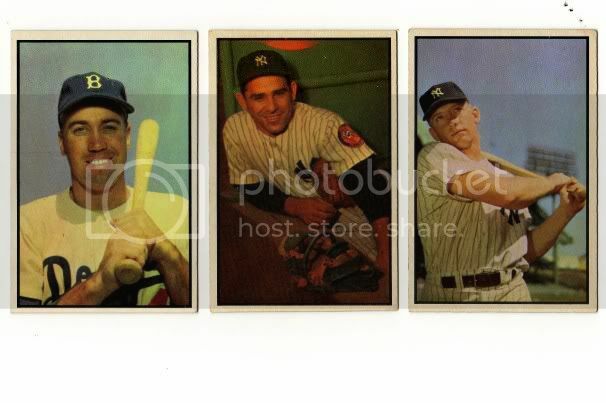 My scanner makes my cards, especially the borders, look gray? They are much whiter in hand but I can't figure out how to get them to look better? Last edited by irv; 04-05-2017 at 02:58 PM. Just got this from a great member on here. First Mick rc! Thanks. 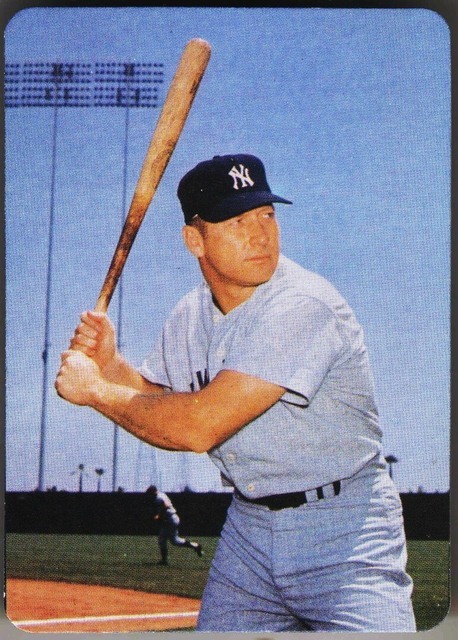 '65 were my first cards (as an 8 year old), and I still think that they're the best looking set of the sixties. My understanding is that this was a 1963-64 issue. On its way to me....creased but ok....I seem to be liking creased cards lately.. 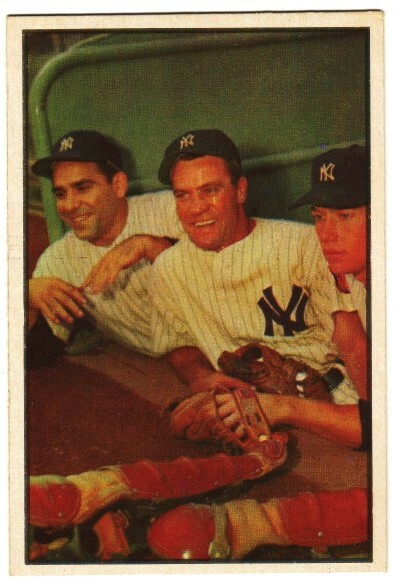 The Standard Catalog lists it as 1961 for what it may be worth. Last edited by Peter_Spaeth; 05-19-2016 at 09:39 AM. Last edited by begsu1013; 08-22-2016 at 09:17 PM. Looks pretty sharp to me. Nice card. Same with that 52 Leon. Crease or not it looks great. Thanks for the kind words though. As the 'ole sales-saying goes, it's nice for the grade. 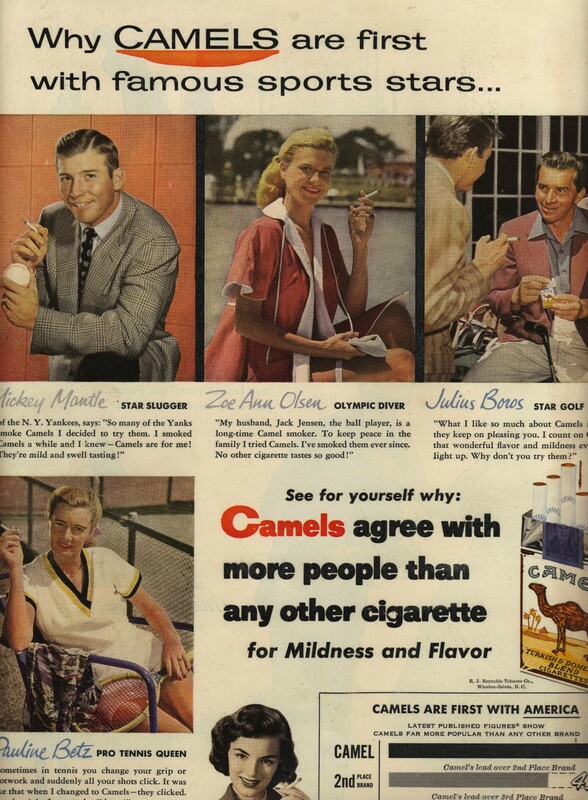 FYI, would love to have an even nicer one but they are getting way out there nowadays. Last edited by Leon; 05-19-2016 at 12:02 PM. That's a great pickup. Amazing centering! 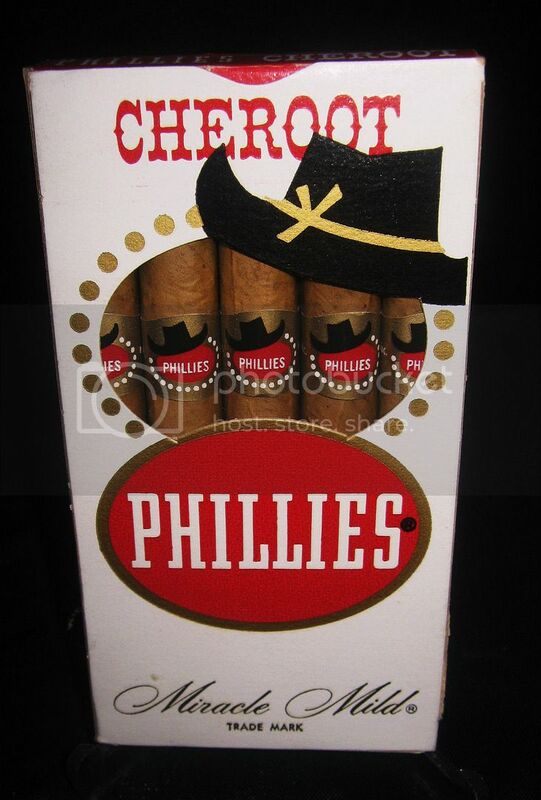 The market is definitely out of control right now when it comes to these. Any thoughts I had about saving up for one as an investment are long gone. 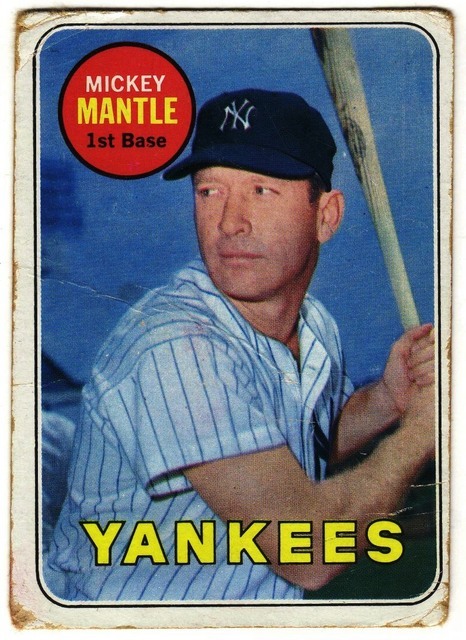 Nice pickup Leon and congrats to all amazing Mantle owners in this thread. Wish I still had my Hunters Mantle I bought from Verkman back in the day. Oh well. 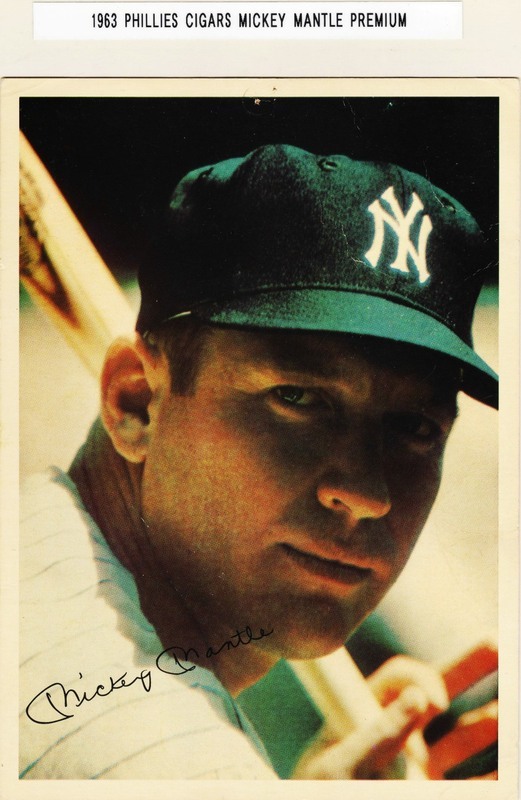 So, will the trend continue to go up to like Roger Maris, Pete Rose, Mike Schmidt, Cal Ripken, etc... OR down to Joe DiMaggio, Lou Gehrig, Ty Cobb, Babe Ruth, Wajo, etc...? Yeah, I had to do the same to get my CJ Mathewson in REA. Congrats Leon very nice card! Leon, have you become a deserter? That (nice!) 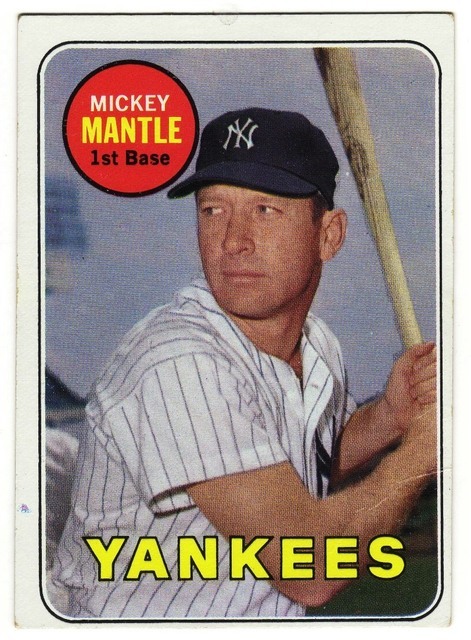 '52 mantle doesn't look like a pre-War card to me!! Not a deserter but if I am going to do local shows around here (DFW) I have to have some eye candy for my cases. 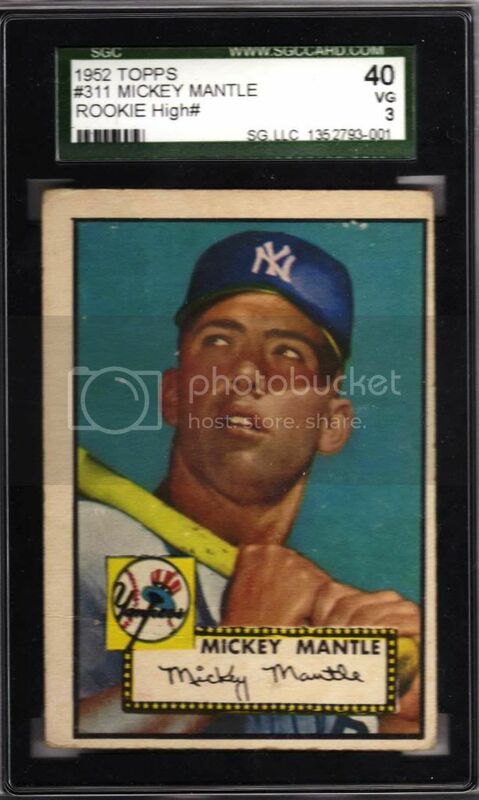 This '52 is a collection card but will have a high price on it....then as time goes by, the price will come in line when I need to let 'er go. It's all fun...and who knows, he may stay forever. 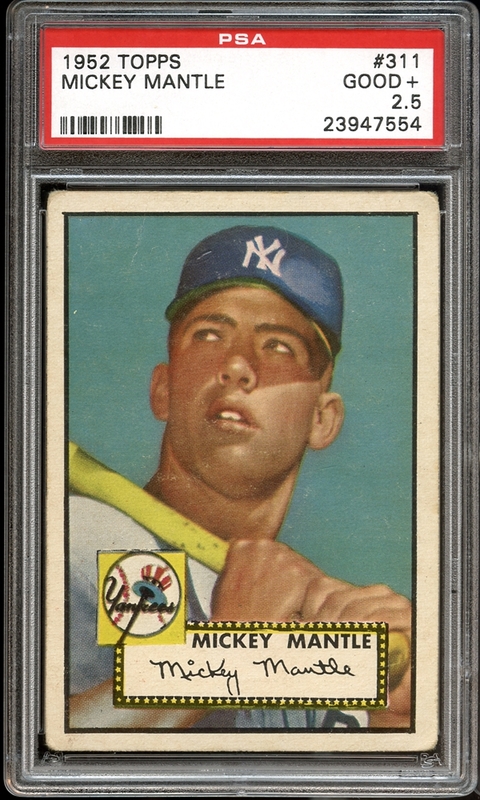 I have always liked '52 MIcks and have been runner up on a few over the years, in auctions. Leon, she's a beauty. It presents well. Defintely you'll get everyone glancing at it when they walk by. Pat yourself on the back, you did well. Leon- I'm glad you got one you like and could afford. 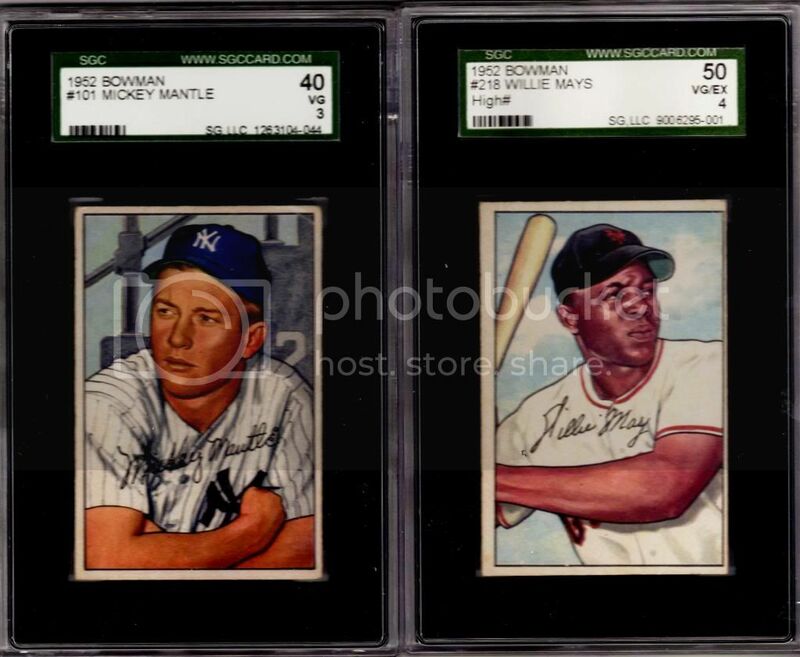 It's weird that I just bought another Ruth and another Wagner, but couldn't even consider trying for a '52T Mantle...something's wrong there. Last edited by tedzan; 07-01-2016 at 01:08 PM. Bob, show us the back.